Legally Blonde was, I think even she will admit, somewhat disappointed to hear that her Parisian opera outing was to be to the 1980s era opera house on the rather grimy Place de la Bastille rather than the magnificent Napoleon III commissioned Palais Garnier which dominates the city between the Grands Magasins and the Louvre. 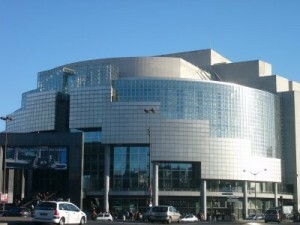 It’s not that the Opéra Bastille isn’t nice, just that it lacks some of the grandeur of its older and more elegant cousin in the 9th arrondissement: its hallways would not be confused with those of Versailles, each seat rather boringly faces the stage rather than other boxes making convenient scrutiny of other patrons more difficult and, while we’re on the subject, nobody at all was in black tie. In fact, with the exception of one young lady who decided to come dressed as a cross between a lingerie advert and a Christmas present, it was generally a fairly scruffy lot ascending the stairs towards three hours of Francesca de Rimini on Saturday night. Never daunted, your correspondent straightened his tailcoat and stepped up. 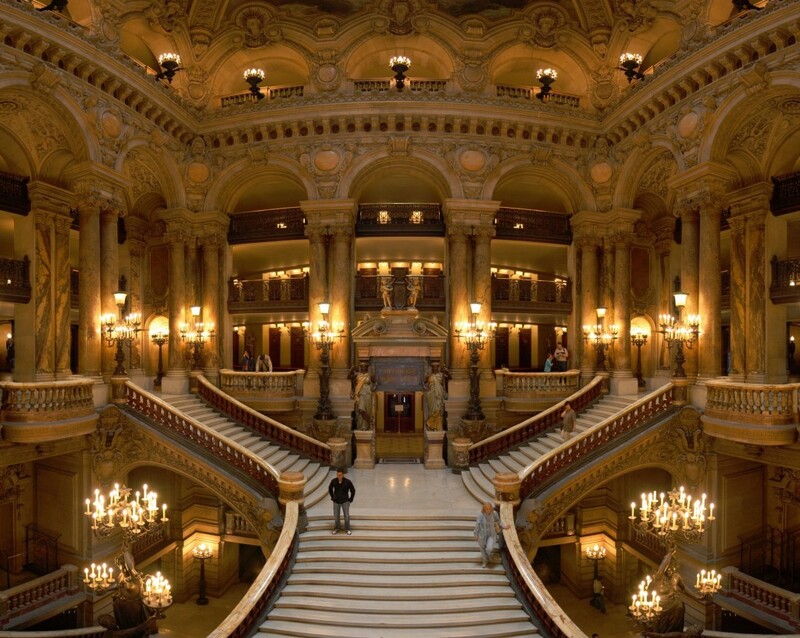 It quickly became apparent that there are a number of differences between opera in Paris and opera in London. The first is that everybody drinks champagne. This innovation from our French cousins I can recommend. The second – less welcome – is that the programmes are €12 and sold by people who appear to be either trainee tenors or on loan from the nearby fruit and veg market. Rarely did a sip of champagne pass my lips without it being accompanied by a booming entreaty to buy a programme from the other side of the foyer. The third is that the surtitles are in French. Perhaps this shouldn’t have come as a shock, being as how we were in France and all. Nevertheless, it was surprisingly difficult – even for someone who professes some knowledge of French – to translate from Italian on stage, to French on the screen, to literal English and then from Opera language to actual human sentiments and emotions. Luckily, there isn’t a complicated plot here and we’d read the precis before going in, so we were pretty up to speed with whatever misfortune happened to be befalling Francesca at any given moment. 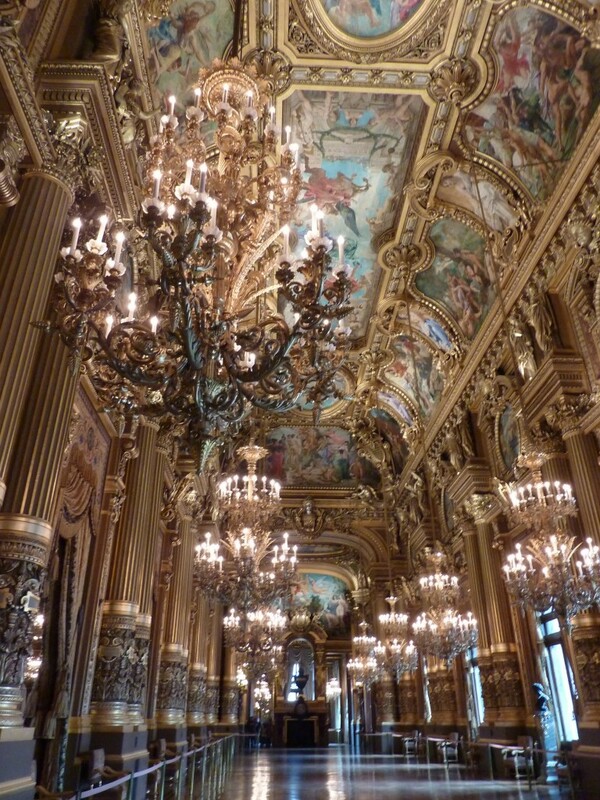 The following day we discovered that you don’t actually have to go to the opera to see the inside of the Palais Garnier as they run daily tours, and even ones in English. We had had an inside tip that the tour to get on was the 11:30am, because that is the one which includes a tour inside the auditorium. The later visits are prevented from doing this because they can clash with the charmingly named “spectacle” of the day, during which the auditorium is understandably occupied. As it turns out, the auditorium itself (unlike the vast Bastille opera, wonderful in an entirely different way) is the least interesting part of the building. Charming and opulent as it is (even with its modern Chagall painted dome, to which Sans Taste did not warm), it is dwarfed by the wonderful architecture of the hallways, staircases and rotundas which make up the rest of the building. Built in 1875 by Charles Garnier at the commission of Napoleon III, the building was aimed primarily at the needs of members’ social lives rather than aesthetic appreciation of the lyric arts. 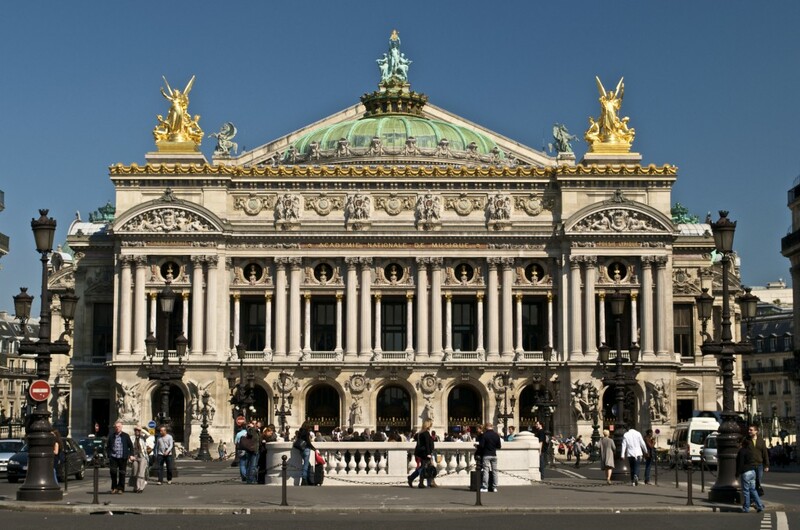 In contrast to the subscribers of today, who will purchase a ticket for a single performance of each production, the original members of Garnier’s opera house would take ownership of their box for the entire season and attend every performance. This meant that the prime sport of an evening at the opera (at least after the first time) would be the observation of those fellow members in the loges opposite rather than close attention to what was happening on stage. This explains the auditorium’s horseshoe shape, which is so inhospitable to proper viewing of opera that today many seats are sold as “non viewing” tickets with no view of the stage whatsoever, but which affords an excellent view of one’s fellow operagoers. Seats in the former imperial box, which you might expect to be the best in the house, are now classed in the third price tier: while they afford a poor view on the stage, they allow unencumbered views around the auditorium and are, most importantly, the best place to be seen. We at once determined that these would be our seats of preference in future. Our tour guide, was something of a spoil sport in fastidiously focusing entirely on the actual factual history of the opera house. American faces all around me fell as she listed the differences between reality and the Andrew Lloyd Webber version: “No, the chandelier has never fallen from the ceiling. No, we do not have a vast underwater lake illuminated by the light of a thousand romantic candelabra”. We didn’t mind. We were enthralled by the magnificent gilt foyers, the curved onyx handrails designed to suggest the movement of ballet, the finely polished chandeliers, the intricate ceiling mosaics and the infinite coloured mirrors designed to suggest the eternal sunlight of the Second Empire. 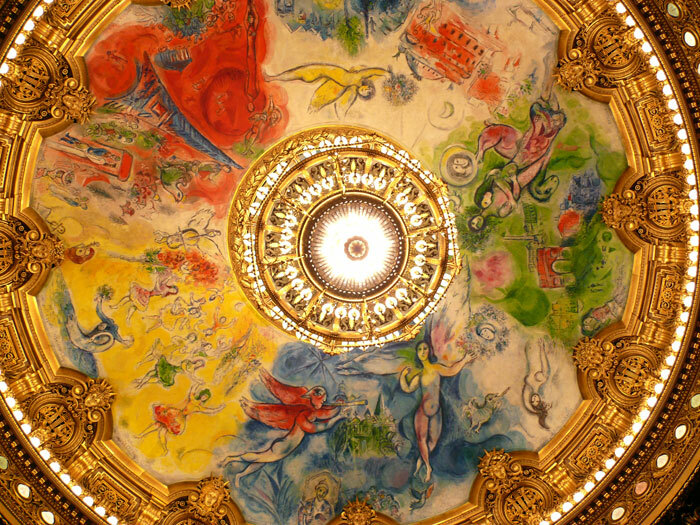 Having seen two Parisian opera houses in twelve hours, we considered ourselves experts and consulted on the relative merits as we climbed aboard our Vélibs. There’s really no debate. Who cares if you can’t see the stage from half the seats? Who cares if the acoustics and the sight lines and the queues for the loo are better down the road at Bastille or Comédie-Francaise? This, this is a theatre. Tours are €12. 11:30am and 2:30pm daily. Sundays at 11:30 are best, but that’s our secret ok? uno de los recursos disponibles para este juego.